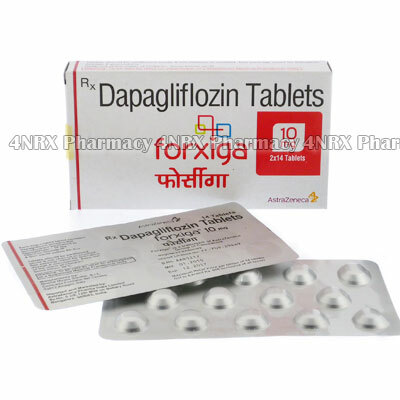 What is Forxiga (Dapagliflozin) used for? How should I use Forxiga (Dapagliflozin)? A starting dosage of 5mg of Dapagliflozin daily is usually prescribed, depending on the severity of diabetes. This may be increased as treatment progresses. Your doctor will advise you which dosage you require and how to take your tablets. What are the side effects of Forxiga (Dapagliflozin)? The most common side effects reported with Forxiga (Dapagliflozin) are a runny nose and/or sore throat. You may also experience dizziness and light-headedness. If you notice any other side effects, contact your doctor. Dapagliflozin may cause dizziness, light-headedness, or fainting. These side effects can be minimalized by sitting up or standing slowly. Drinking alcohol, hot weather, exercise, or fever can increase these effects. Do not drive or operate machinery until you find how you react to Dapagliflozin. It is important to stay hydrated when taking Dapagliflozin. Be sure to maintain an adequate fluid intake, and contact your doctor if you have bad diarrhea or vomiting.